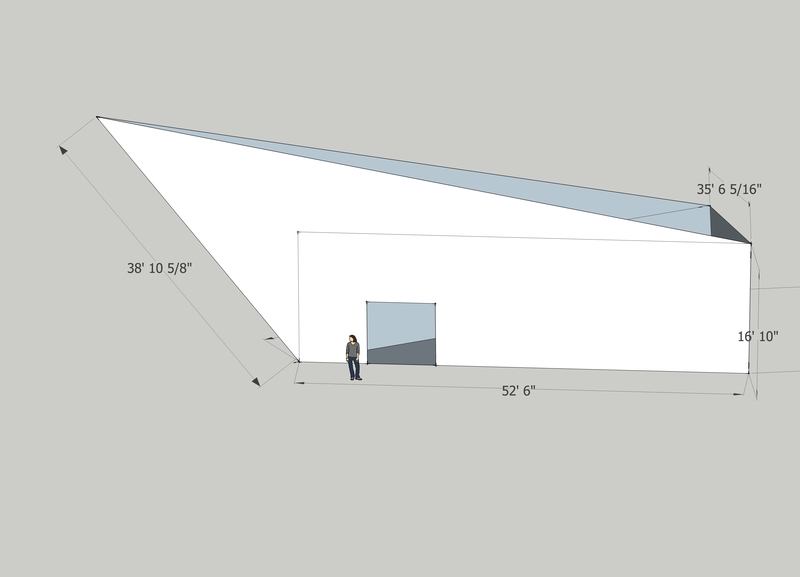 Rough measured drawing of Fusebox Gallery of the Denver Art Museum, accurate to within a few inches in each dimension. Thanks to our friend Christopher Coleman for sharing his rendition in Blender and the copy he made from the annotated blueprints. Teri is working up a rendition in Maya with very few polygons so that we can use it in Unity 3D. We plan to use the geometry within the game engine to help plan where cameras, hence projectors, and sensors would need to be placed. We would like to activate as much of the interior floor space as possible for play. I left rectangles on the walls for reference only. The floor plan is a triangle. The walls are trapezoids. The near wall is pitched at 97° toward the viewer. 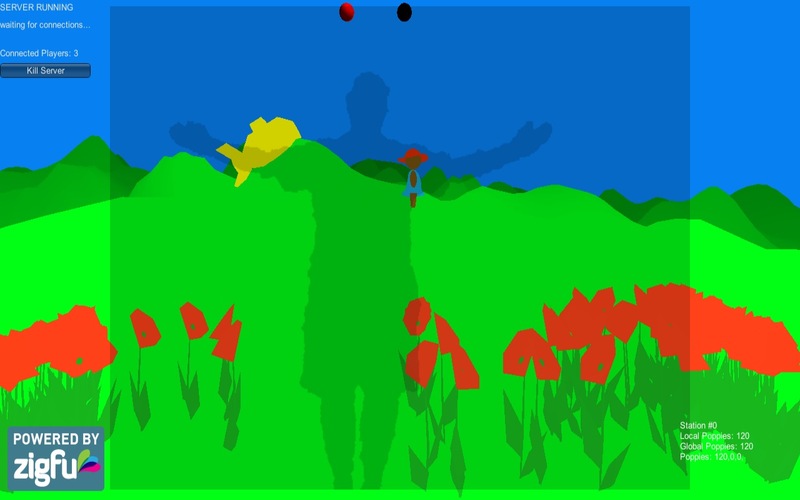 The far wall is pitched at 107° away from the viewer, into the picture plane. 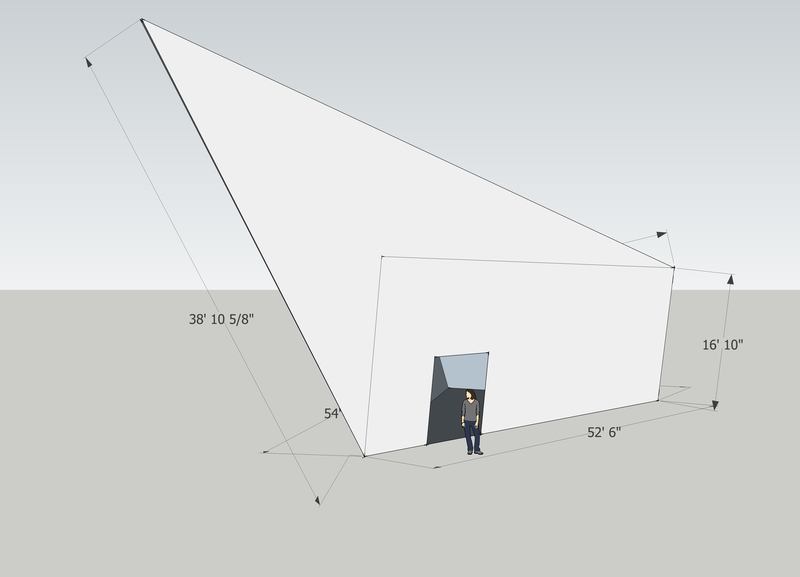 The wall at the base of the triangle is pitched at 90°, if the blueprints are to be believed. Both Christopher and I offer caveats that this is not a “laser perfect” rendering. The prow, for example, has an internal length of 38′ 11″, but somehow I lost a few eigths in the model. Also, thickness of the walls are not accounted for.